How much do you know about the Wimbledon Tennis Championships? Test your knowledge with our quiz and you could win a Fortnum & Mason English Essentials Hamper worth £125. The 2018 Wimbledon Tennis Championships begins on Monday 2nd July. Test your knowledge of the Grand Slam tournament with our quiz and you could win a fabulous Fortnum & Mason English Essentials Hamper worth £125! To be in with a chance of winning, simply enter our quiz via the online form below by 11.59pm on Tuesday 31st July 2018. The first person to be randomly selected from the correct entries will win! Terms and conditions apply - please see below*. 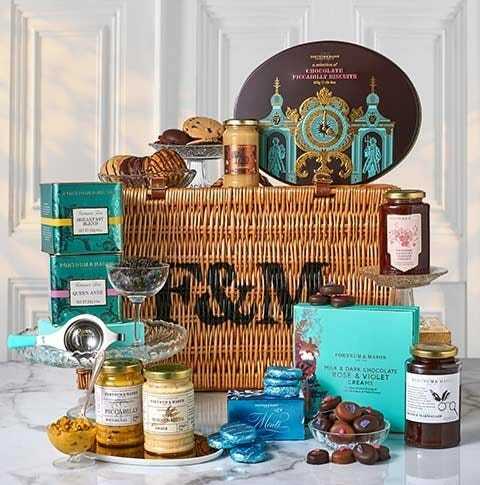 To be in with the chance of winning a Fortnum & Mason English Essentials Hamper worth £125, enter our quiz via the online competition form above by 11.59pm on Tuesday 31st July 2018. One prize available. Only one entry per person. A winner will be randomly selected from the correct entries. The winner will be contacted by email. Prize cannot be exchanged for a cash alternative. Prize can only be sent to a UK address. We reserve the right to withdraw this competition at any time.